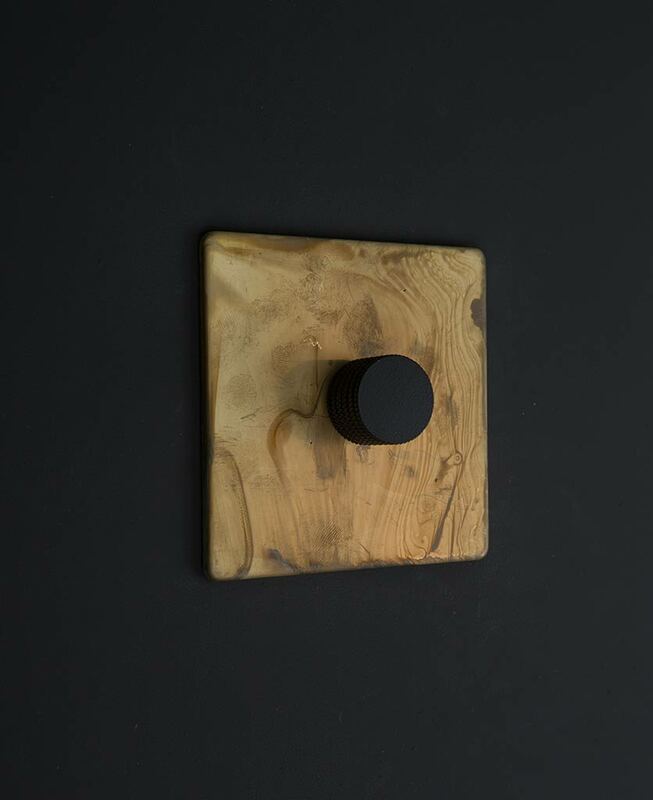 Our beautifully unique smoked gold single dimmer switch is the perfect accessory to add an industrial edge to any interior. Its metal knurled knob adds a contemporary contrast to the ruggedness of the matt gold. 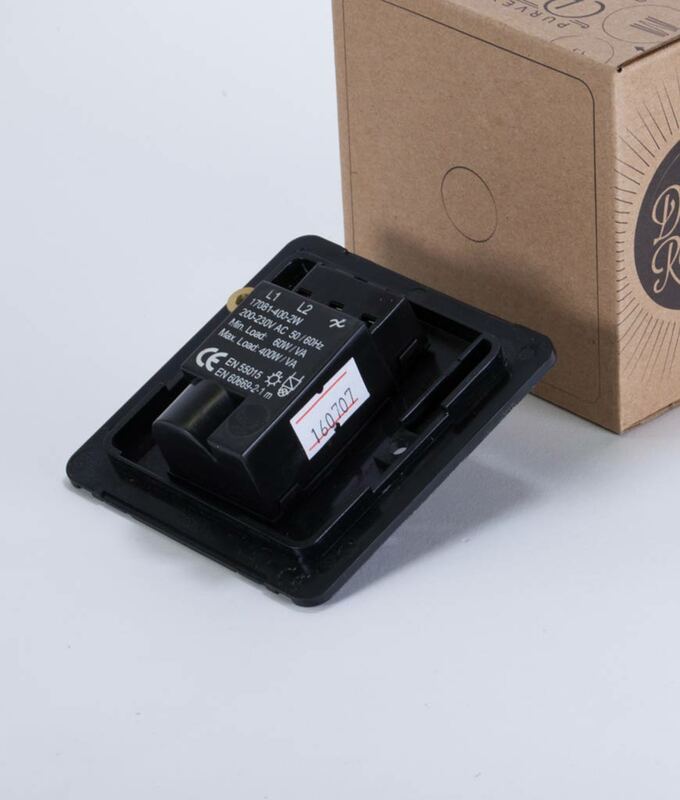 It’s a grown-up kind of switch perfect if you’re looking for designer switches, without the designer price tag. 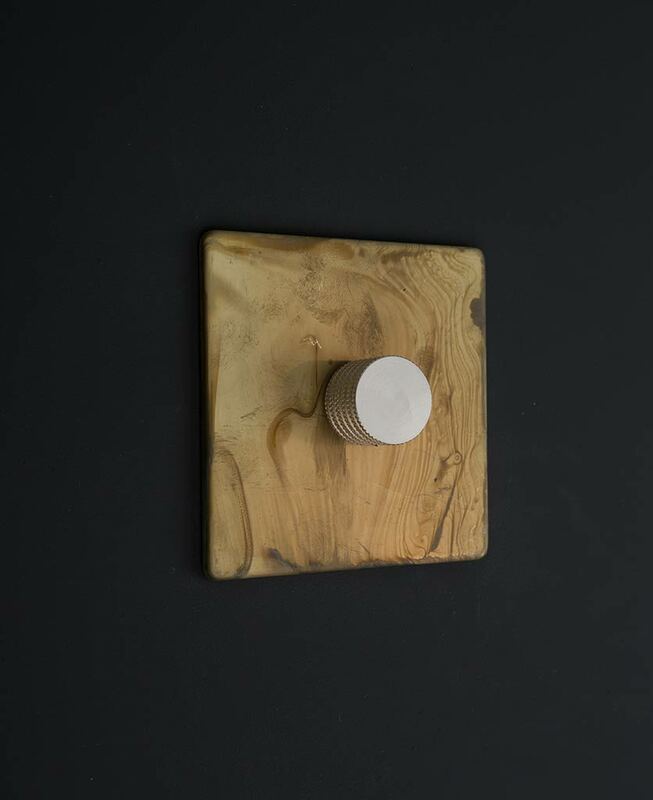 Light switches don’t get much cooler than our designer smoked gold single dimmer switch. 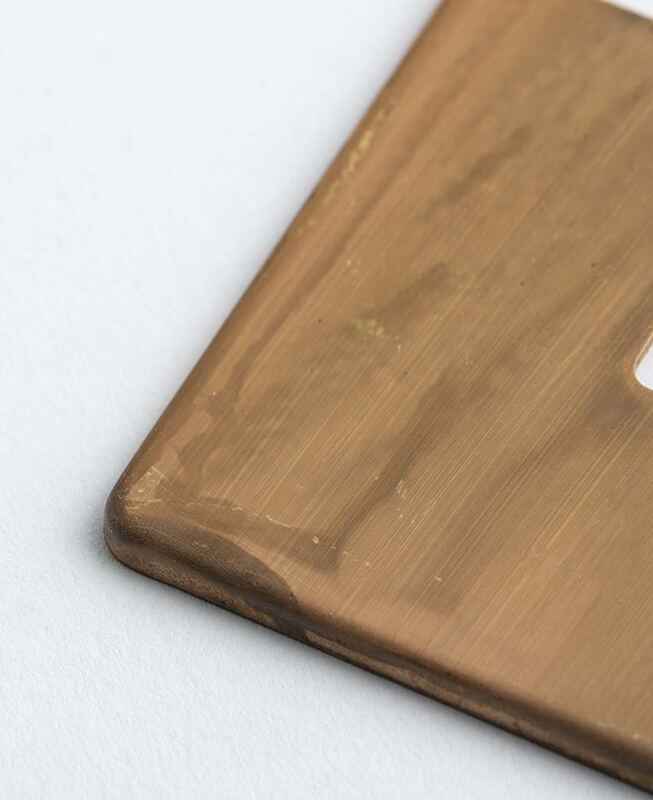 Even if we do say so ourselves… We designed these ourselves you see. James (our creative brains) has a near fanatical eye for detail – the finish, and even the pattern around the knurled knob attracted much debate. Anyway, we settled on this uber stylish version that’s perfect for all of you who love to add a bit of industrial to your interiors. 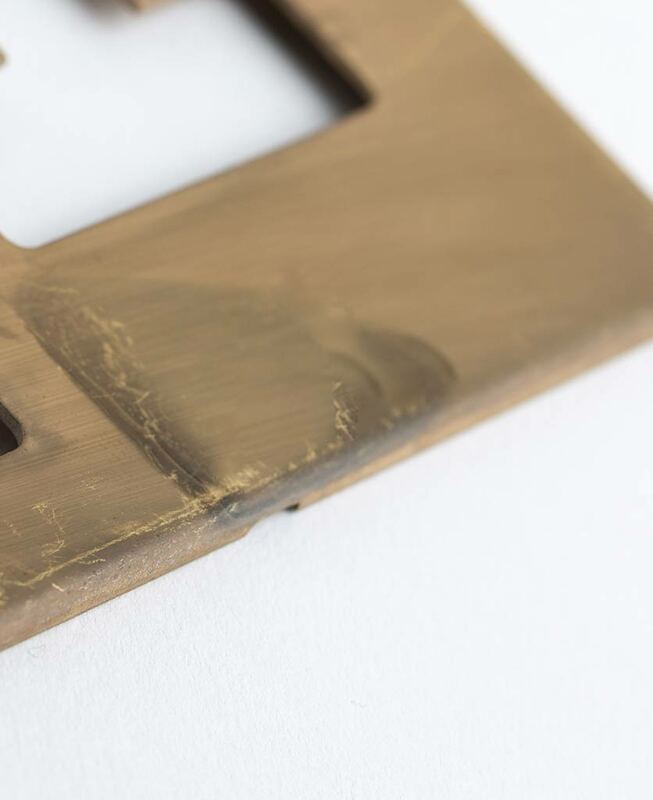 It’s fair to say that light switches and electrical sockets do often get overlooked during a refurb or re-decoration project. But why spoil all your hard work and leave the standard fixtures in. Make a feature of your light switches with this smoked gold dimmer and upgrade all your other switches and sockets whilst you’re at it – we’ve got a whole smoked gold range.